Welcome to the Autumn Vegetable Garden Planting Guide. Autumn is a time to enjoy the last of the warmer weather in the garden, and often to be removing summer crops. 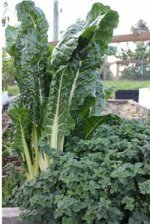 The cooler weather means it time plant a variety of herbs, spinach and bok choy. The following Autumn planting guide is for the Melbourne area and surrounds, where the climate is referred to as being temperate.